Rabbi Andrew Hahn (Reb Drew) maintained an interest in music throughout his years of academic and rabbinic study and ultimately began to attend Sanskrit kirtans led by Krishna Das, Wah!, Deval Premal and Miten, among others. Reb Drew learned to play harmonium. It seemed only natural to Reb Drew, as someone who had danced in synagogues and pounded more than a few Sabbath tables, that Hebrew would function wonderfully in a kirtan framework. Utilizing Indian instruments and chant melodies in a call-and-response kirtan style, Hebrew Kirtan and the Kirtan Rabbi were born. Integral Yoga Magazine (IYM): How did you become the â€œKirtan Rabbiâ€? Reb Drew (RD): I had done some Yoga and had taught martial arts for more than 30 years. I had a PhD in Jewish philosophy and was a Reform rabbi. I was trying to find work, but I couldnâ€™t find a regular job. I was clearly somehow â€œoutside the box.â€ I went to Boulder, Colorado and came under the influence of Rabbi Zalman Schachter-Shalomi. There was an â€œeast-westâ€ connection with Reb Zalman. He had spent time with the Dalai Lama and was featured in the book, The Jew in the Lotus. 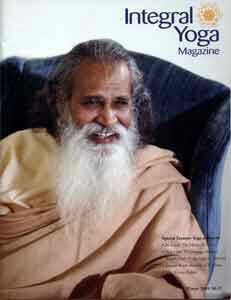 I am told that he and Swami Satchidananda were close. A lot of my friends were listening to Krishna Das, but I was skeptical at first. In Boulder, alone in an apartment, I began listening to Krishna Das CDs and found I enjoyed them. I thought to myself, â€œThis could work well in Hebrew.â€ I didnâ€™t know anyone doing Hebrew kirtan, so I went back to New York City and, without ever having seen one, ordered a harmonium. Meanwhile, Omega had its first ecstatic chant weekend, so I heard my first live kirtan there. Then, when my harmonium came, I sat down and immediately knew â€œThis is where I belong.â€ More importantly, I realized I could teach Torah through this. IYM: Did you have a theory behind your approach to Hebrew kirtan? RD: I didnâ€™t have one. In retrospect, despite all efforts to get a regular job, I discovered God wanted me to do something different. I couldnâ€™t fit as a pulpit rabbi or regular academic. So, leading Hebrew kirtan became the perfectÂ seva (selfless service) which allowed me to mobilize all my skills. Rabbi Shlomo Carlebach and Debbie Friedman revolutionized Jewish music in the 1960s and â€˜70s when, rather than just having passive congregants listen to great cantors, they got everyone singing. With Hebrew kirtan, I feel like we are bringing everything that came before and taking it to another level. Not too long ago, I heard my buddy David Newman (Durga Das) comment at IYI in NY that weâ€™re in a kind of â€œage of kirtan,â€ that this practice is desperately needed at this time. I had caught the wave myself and realized that I was bringing kirtan to other places, other audiences. I am deeply influenced by the relational philosophy of Martin Buber, I should add. IYM: What is the relationship between traditional kirtan and Hebrew chanting? RD: I wanted to reach into the Jewish world and enliven it with the kind of passion and pathos we get when we go to a Jai Uttal kirtan. I love Hebrew, which is recognized as a vibrational language, like Sanskrit. I chant Sanskrit all the time for myself. But as a rabbi, I chant in Hebrew, a language just yearning to be sung. When we chant in Hebrew, we choose beautiful verses and move the energy through theÂ sephirot (aspects) of God. This is all cross-fertilization for me. Iâ€™m involved in the Yoga world and I bring Jewish stories and wisdom into Yoga studios. I also bring bhakti Yoga and Tai Chi to the Jewish world. I believe that religion and spirituality are not necessarily the same. Our spirituality is a more individual experience. By myself on a desert island, I might not pray in a Jewish form; Iâ€™d probably practice Taoism, to be honest. But I donâ€™t live in a vacuum. I have family and a tradition. In the world, I place myself in community as a Jew. Thankfully, we live in a time where I can be a Jew who loves Yoga and Tai Chi! My friend Rabbi David Ingber recently conveyed a wonderful image from Swami Ramananda, president of the IYI in New York: You have a deck of cards. The back of the deck is all the same, but when you turn it over there are many different faces. Thatâ€™s what God is like. So, weâ€™re bringing just such a multi-faceted spirituality through kirtan to Judaism. By the way, there are many names for God in Judaism â€“ and we sing them all, male and female! IYM: It could sound like you are saying that Judaism doesnâ€™t have spiritual energy. IYM: For those unfamiliar with either Sanskrit or Hebrew, how important is it to understand what one is chanting? RD: Krishna Das famously remarks that, when we chant, the words donâ€™t matter. I agree, and I always say that itâ€™s the vibrational tone and intention of the heart that is all-important. But, for theÂ kirtan wallah, the person leading the kirtan, the knowledge of the words really matters. As the â€œkirtan rabbi,â€ the rabbi side of me is more heavily weighted than the kirtan side. The Hebrew phrases I chant are precisely chosen. It matters deeply that I know the etymology of the words, how they are used in the Hebrew Bible and how they have developed within rabbinic Judaism as well as in Kabbalah. IYM: Are your kirtans very planned out and what role does the audience play in them? When leading kirtans, I often make a joke about this after the first chant. Iâ€™ll say, â€œNow itâ€™s time to introduce the performersâ€¦.â€ And, of course, the people always think Iâ€™m about to introduce the band. But, then I continue, â€œâ€¦but thereâ€™s just too many of you out there.â€ Sometimes a professional singer approaches me and says, â€œIf you need a backup singer, I have a strong voice.â€ I always think to myself, â€Well, thatâ€™s a strike against you!â€ I donâ€™t want strong singers; I like people with sweet voices who are shy. We invite the audience to participate; we donâ€™t want to be performing. Krishna Das has just such an inviting voice. If he were an opera singer, people would think they should just sit back and listen. I always tell my musicians, â€œIf at any point you have to stop singing or playing to increase their participation, then do it.â€ And that goes for me, too, of course. IYM: What are your hopes for Hebrew kirtan? RD: In Judaism, we speak ofÂ ha-Olam Ha-ba (the World to Come). Through meditation, we know that this world is accessible to us now. God is like the radio tower that is beaming access to the divine. We have to tune ourselves in to receive it. The goal of kirtan is to gain ec-stasis, which means, â€œstepping out,â€ leaving the material status quo. If I had to sum up the essential goal of Hebrew kirtan, it is to have Ha-Olam Ha-ba right now. Then we fold it back into this world in order to strengthen our mission of tikkun olam (repairing of the world). I mean, I finally want to emphasize that Judaism always has been and remains about taking care of the poor, orphans, widows and disenfranchised among us. Kirtan gives us the staying power. Reb Drew began college as a classical guitarist at the music conservatory at Carnegie-Mellon University and later received a PhD in Jewish philosophy from the Jewish Theological Seminary of America. He was ordained as a rabbi at the Hebrew Union College and now travels the country teaching workshops and offering Hebrew kirtan. He is Resident Scholar at CLAL: the Jewish Center for Learning and Leadership. His new CD, â€œKirtan Rabbi: Live!â€ is available from: www.KirtanRabbi.com. Reb Drew leads monthly Hebrew kirtan at the New York IYI.